The amount of insulin needed to effectively treat type 2 diabetes will rise by more than 20% worldwide over the next 12 years, but without major improvements in access, insulin will be beyond the reach of around half of the 79 million adults with type 2 diabetes who will need it in 2030, according to a new modelling study published in The Lancet Diabetes & Endocrinology journal. The analysis underscores the importance of tackling barriers to the insulin market, particularly in Africa. The authors warn that strategies to make insulin more widely available and affordable will be critical to ensure that demand is met. "These estimates suggest that current levels of insulin access are highly inadequate compared to projected need, particularly in Africa and Asia, and more efforts should be devoted to overcoming this looming health challenge," says Dr. Sanjay Basu from Stanford University, USA who led the research. "Despite the UN's commitment to treat non-communicable diseases and ensure universal access to drugs for diabetes, across much of the world insulin is scarce and unnecessarily difficult for patients to access. The number of adults with type 2 diabetes is expected to rise over the next 12 years due to ageing, urbanization, and associated changes in diet and physical activity. Unless governments begin initiatives to make insulin available and affordable, then its use is always going to be far from optimal." Insulin is essential for all people with type 1 diabetes and some people with type 2 diabetes to reduce the risk of complications such as blindness, amputation, kidney failure, and stroke. As global rates of type 2 diabetes soar and people with type 2 diabetes live longer (which will increase insulin requirements), a comprehensive picture of global insulin need is required because insulin treatment is costly, and the international insulin market is presently dominated by only three major manufacturers. 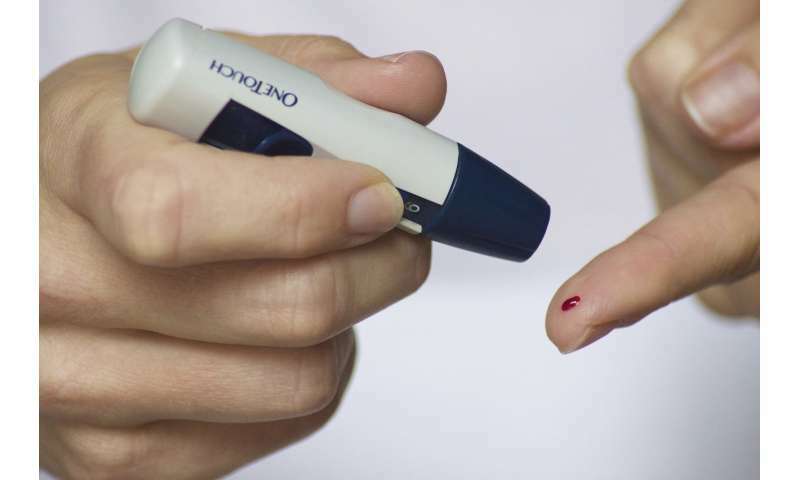 Using data from the International Diabetes Federation and 14 cohort studies (representing more than 60% of the world population with type 2 diabetes), researchers estimated the burden of type 2 diabetes in 221 countries and territories between 2018 and 2030. They estimated the potential number of insulin users, amount of insulin required, and the burden of diabetes complications under varying levels of insulin access and treatment targets (from 6.5% to 8% HbA1c, a measure of blood glucose), in adults aged 18 or older. Results showed that worldwide, the number of adults with type 2 diabetes is expected rise by more than a fifth from 406 million in 2018 to 511 million in 2030, with over half living in just three countries—China (130 million), India (98 million), and the USA (32 million). At the same time, global insulin use is projected to rise from 526 million 1000-unit vials in 2018 to 634 million in 2030, and will be highest in Asia (322 million vials in 2030) and lowest in Oceania (4 million). The authors calculated that compared to current levels of insulin access, if universal global access was achieved (with a treatment target of HbA1c 7% or lower), the number of people with type 2 diabetes worldwide using insulin in 2030 would double (from around 38 million [7.4% of all people with type 2 diabetes) to 79 million [15.5%]). The estimates suggest that making insulin widely accessible would have the greatest impact in the African region—increasing insulin use 7-fold from around 700,000 people with type 2 diabetes at current levels of access to over 5 million—whilst universal access in Asia could more than double numbers of insulin users from 21 million to 48 million people. The study also predicts that using a higher glucose target of 8% in the over 75s could halve insulin use and prevent more disability by cutting severe hypoglycaemic events (more common among older adults) by 44%, with only a 20% increase in diabetes-related harms from eye, kidney, and nerve complications. "Most guidelines recommend glucose targets of less than 6.5% or 7%. Targeting a more moderate threshold for control is likely to improve overall health by balancing the risks of hypoglycaemia with longer-term microvascular disease benefit," says Basu. The authors note several limitations, including that the projections of type 2 diabetes prevalence do not account for dietary and physical activity environments changing over time, which means that the disease could have a much larger or smaller impact in the future. They also note that the methods used assume that the relation between underlying demographics, treatment targets, and complications are similar across countries, which might not account for some ethnic variations. Commenting on the implications of the study, Dr. Hertzel Gerstein from McMaster University, Canada writes: "These comprehensive analyses explicitly accounted for a variety of circumstances. Nevertheless, they are based on mathematical models that are in turn based on other mathematical models. They are also based on a variety of assumptions... Such considerations suggest that predictions about the future need to be viewed cautiously. Regardless of these uncertainties, insulin is likely to maintain its place as a crucial therapy for type 2 diabetes, and as such a sufficient global supply needs to be estimated and ensured... Ongoing updates to models such as these that incorporate new data and trends as they accrue, may be the most reliable way of assuring their reliability and relevance to evidence-based care."